Hagstom was originally established in 1925 in Sweden as an importer, and later manufacturer, of accordions. In 1958 Hagström started manufacturing electric guitars being one of the first to produce the instrument professionally outside of the United States. The early Hagström Deluxe solid body guitars featured a distinctive sparkle and pearloid celluloid finish that was previously used on their line of accordions. 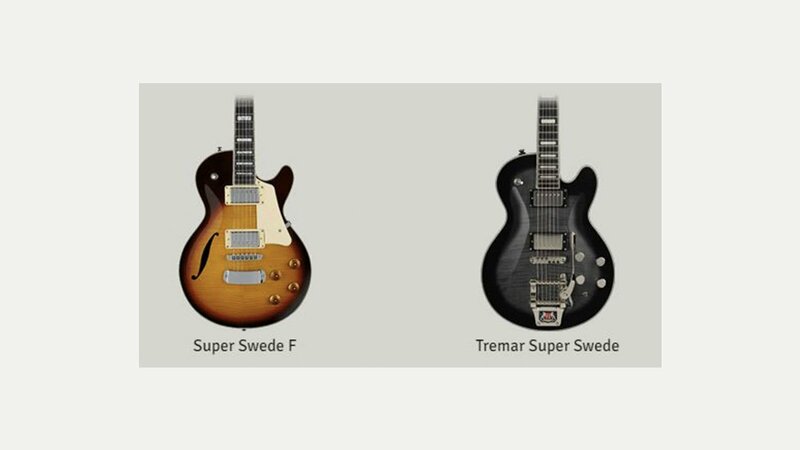 Soon Hagström expanded their line-up of guitars to include hollow bodies like the Viking and the Jimmy. In 1961 the first line of Hagström basses was available to the public; this eventually came to include the groundbreaking 8 string bass. Production ended for Swedish-made Hagströms in 1983. In 2004 production of Hagström guitars started again, the company making and distributing new versions of the original classics. The design team is based in Sweden; wood comes from North America and hardware from the US and Korea.